When we say that we sell a premium CBD products with the highest quality; we mean it, and we back it up with facts too. We’re on a mission to unveil the power of nature by spreading the awareness of CBD around the globe. We are not in it to make a quick buck. We’re in it for the long run, and we believe that the only way to do this is to only offer the very best products. We will never be the cheapest - but always the safest, cleanest and of the highest quality. All our products are made from organic, non-GMO hemp plants (Cannabis Sativa L.) grown in the EU without the use of pesticides to ensure the highest quality and a safe supplement for you and your family. While our products may cost slightly more than other companies we believe it’s worth paying a premium price to ensure safe long term use. When choosing your CBD, we would advise you to make your decision based on quality - not on price. 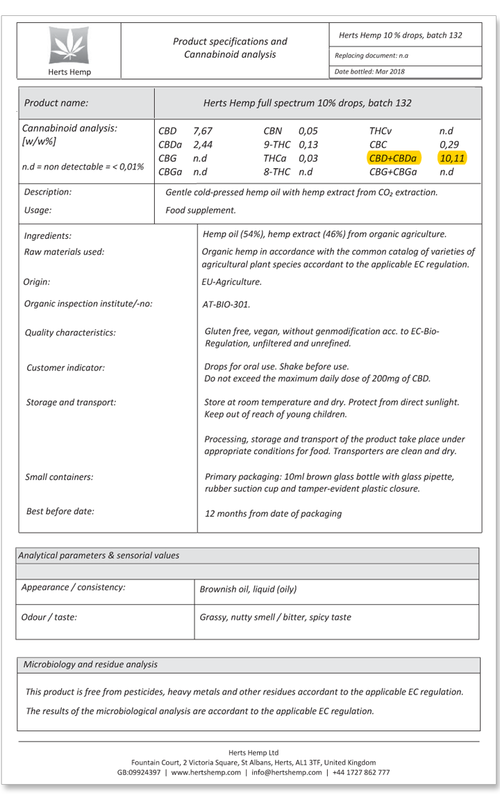 To find out more about what to consider when buying CBD, read the CBD Buying Guide. 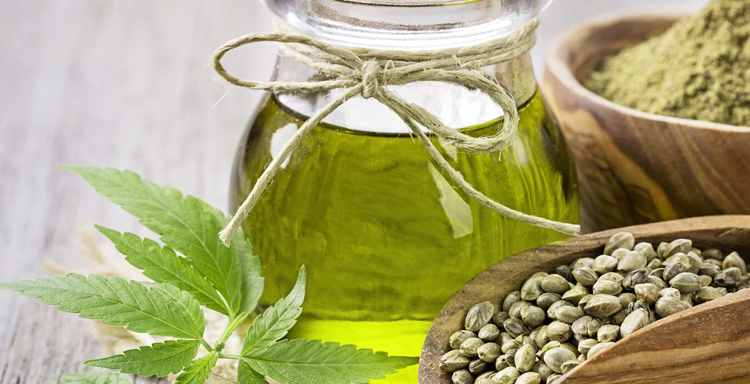 We understand that it might be tempting to grab the most affordable CBD oil you can find. But you might end up putting yours and you family’s health at risk by buying products that may containing chemical & solvent residues, pesticides, heavy metals, microbial organisms, fungus, mold or other impurities. Our CBD oil is made from whole plant extract using Supercritical CO2 Extraction, This is considered the gold standard of hemp extractions. This production method is the safest and cleanest but is also the most expensive way to extract CBD. The plant material is cooled under high pressure using CO2. Then the CBD oil is extracted, resulting in the purest and cleanest oil with all of its qualities preserved. Unfortunately, the CBD industry is still an unregulated industry. What this means is that CBD products are not automatically quality tested. That’s why we at Herts Hemp religiously have all our products tested by specialist Cannabis Labs. Yes, it costs us more, but at the same time, we are proud of our transparency. By setting an example, we’re hoping to raise the bar for the entire industry; resulting in a safer and higher quality for all CBD products. All our products are tested by a specialist cannabis testing lab to guarantee accurate CBD concentration. A lab report is available for each product to declare the exact concentration. This way, you can be certain that you get what you pay for. At Herts Hemp we believe in thorough testing. Not just to guarantee the percentages of CBD concentration, but we also believe that a good lab analysis should pick up on any impurities as well. Therefore, we test for any chemical & solvent residues, pesticides, heavy metals, microbial organisms, fungus, mold or any other impurities. This way, we can ensure a safe nutritional supplement for you and your family to consume. CBD is derived from Cannabis, and we all know that Cannabis is illegal. It was ruled illegal because smoking it gets you high. The cannabis plant is made up of over 60 different cannabinoids. One of those; Tetrahydrocannabinol (THC) is the psychoactive chemical that is responsible for the marijuana high. Cannabidiol (CBD) is not. Therefore, and rightfully so, THC is illegal, but CBD is not. All our products are tested for THC. A lab report is available for each product to declare that the THC level is within the UK legal limit. This way, we can ensure that all our products are perfectly legal. For more information about the legal status of CBD, read the CBD Legality section.